Q does this light come any smaller? 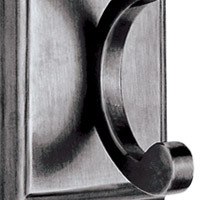 A The Visual Comfort Studio Twist 5 Light Chandelier SC5015HAB does not come in a smaller size. Q Does it need to be polished? 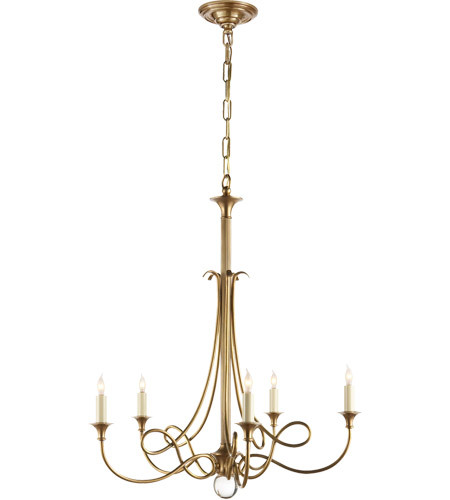 A For the Visual Comfort Studio Twist 5 Light Chandelier SC5015HAB: The brass finish is a live finish and will darken up a little. To clean, we recommend a soft dry cloth. No chemicals are to be used, just hand polishing for normal care.